10:35 PM. May 14, 1997.Referee Markus Merk, blows the full time whistle in the UEFA Cup Winners’ Cup Final. On the pitch two young men are locked in a warm embrace. 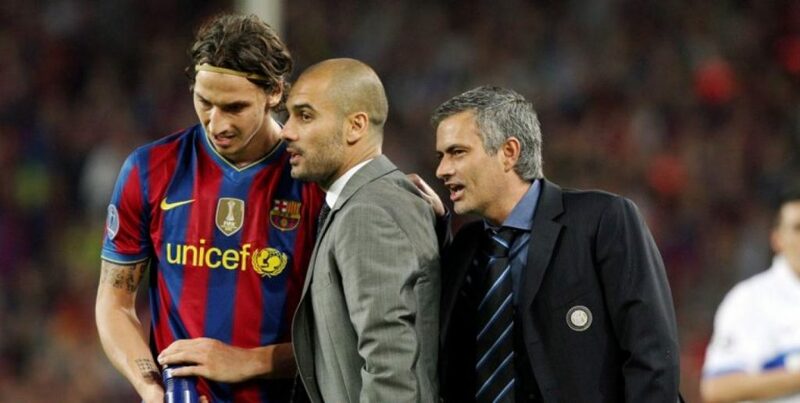 Jose Mourinho, Sir Bobby Robson’s brilliant Portuguese assistant and Barcelona midfield linchpin, Pep Guardiola. Allies, working closely to help transmit the manager’s ideas to the team, savouring victory together. It’s safe to say things had gone south between Pep and Jose. 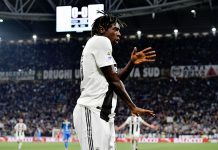 The two years spent competing against each other in La Liga was characterised by personal jibes, feisty football games, accusations and counter accusations, physical assaults, the whole works. No love lost. What was once a budding partership degenerated into one of football’s most notorious feuds. 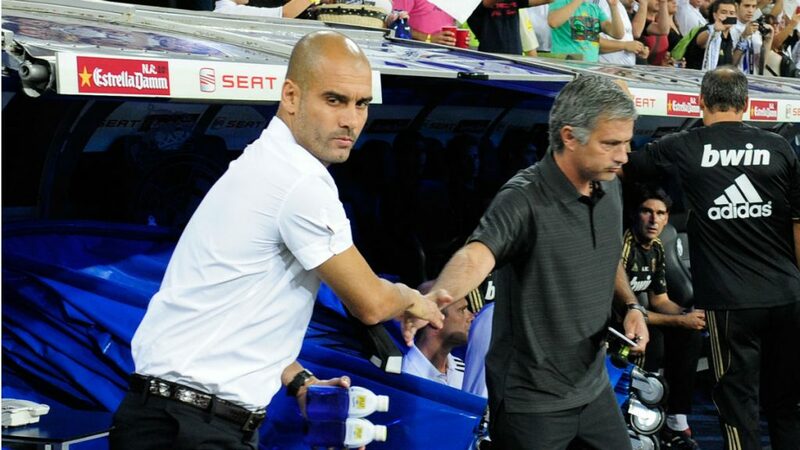 This season, the battle between two of the greatest managers in world football will be staged in Manchester. Mourinho is at Manchester United, Guardiola is at City. The teams will meet for the first Manchester Derby of the season at Old Trafford on Saturday, lunch time. Both teams have 100% win records so far this season. The bad blood between the managers, Zlatan Ibrahimovic’s “unending love” for Pep, the chance to go top of the EPL table and secure bragging rights for the fans. Enough motivation to go round inside both camps. City will be without first choice striker Sergio Aguero, who misses out thanks to a 3-match ban. Guardiola will have to decide whether to bring in Kelechi Iheanacho as a direct-but less scary for opposition defences-replacement or move Nolito into the central striker position and start Navas out wide. Gundogan and Bravo are in contention to make their debuts. But it will be unwise to make too many changes for this game. 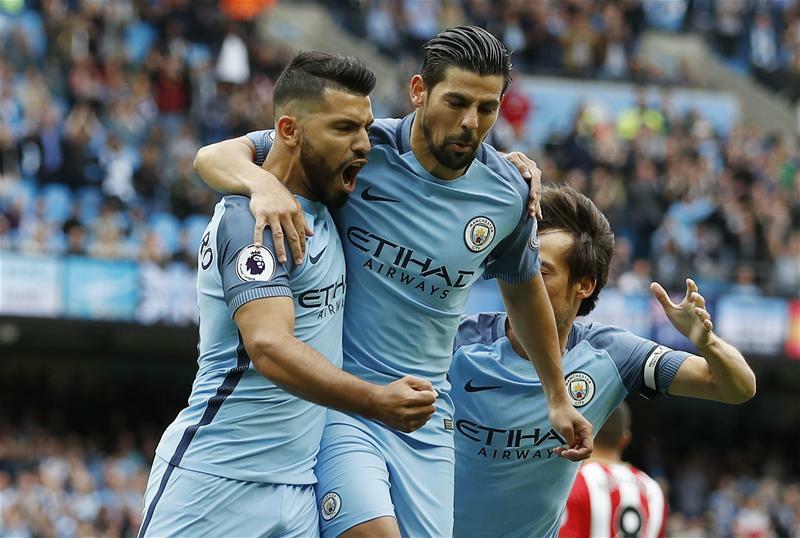 With Kun Aguero out, Guardiola’s famous tactical nous could see Nolito become the main man for City. It is not a wise thing attempting to second-guess the most imaginative manager in the Premiership either. Cue pandemonium when David Silva starts as a “false nine” or John Stones plays as a six and half. Mourinho has a settled starting XI at United. Luke Shaw is a doubt. He was withdrawn from the England team earlier in the week. Antonio Valencia may also return Friday night from international duty which could affect his chances of starting the game on Saturday. 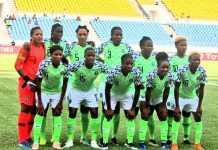 However, expect one of the most tactically astute coaches ever to make a change in personnel if he notices a weakness in the opposing team’s set up. Much has been said about how City’s full backs tuck in field when in possession. It will be interesting to watch their positioning in this game with the pace and trickery of Anthony Martial and the overlapping runs of United’s full backs. Fernandinho has been deployed as the pivot-protecting the defence. With Paul Pogba making surging runs from midfield, expect Juan Mata to come infield and play between the lines at times. Wayne Rooney and Ibrahimovic dropping deep from time to time will surely occur a lot. Kevin De Bruyne and Silva will have to shoulder more defensive responsibilities in the centre of the pitch surely. Sterling’s newly found confidence should be a delightful sight to behold too. We 3 Kings in Manchester. Like all good love stories, the association of both opposing players and Ibrahimovic could still have one or two twists left. There have been only 3 red cards shown to players in this fixture at Old Trafford in the Premier League era. A surprisingly low count. With so many sub-plots to this game, it promises to be exciting for the watching fans. Enjoy.